Boskone’s appreciation of science fiction and fantasy also expands to horror fiction, including his year’s Official Artists, Charles Lang and Wendy Snow-Lang, known for horror illustration as well as science fiction illustration. Today’s Mini Interviews feature horror aficionados Christopher Golden, Mallory O’Meara, and Darrell Schweitzer who often wander through shadows and dark spaces within speculative fiction. Check out what they’re looking forward to in 2015. Christopher Golden is the New York Times bestselling, Bram Stoker Award-winning author of such novels as Of Saints and Shadows, Strangewood and Snowblind. His novel with Mike Mignola, Baltimore, or, The Steadfast Tin Soldier and the Vampire, was the launching pad for the Eisner Award-nominated comic book series, Baltimore. As an editor, he has worked on the short story anthologies The New Dead and Dark Duets, among others, and has also written and co-written comic books, video games, screenplays, and a network television pilot. Golden was born and raised in Massachusetts, where he still lives with his family. Visit Chris’s website, like him on Facebook , or follow him on Twitter @ChristophGolden. I write what inspires me, from horror (SNOWBLIND) to SF thriller (June 2015’s TIN MEN) to comics (BALTIMORE) and graphic novels (CEMETERY GIRL with Charlaine Harris). I’m incredibly fortunate to be able to work across genres and mediums, and I never forget how fortunate. I’m giddy with anticipation for Benedict Cumberbatch in DOCTOR STRANGE. If I could go back in time and tell my twelve year old self that one day these movies would be made and they would be amazing…twelve year old me would never believe it. Book-wise, I’m lucky to have read and blurbed several amazing 2015 releases that I’m thrilled for other people to read, including Tim Lebbon’s THE SILENCE, Pierce Brown’s GOLDEN SON, and Naomi Novik’s UPROOTED. Boskone has so much to recommend it that I can’t name just one thing. I love the dealer’s room and the art show, love the kaffeeklatsches that I’ve taken part in and just wandering, bumping into people. But overall, Boskone’s panels are its best feature. They are routinely the most interesting and in-depth panels at any convention I attend. 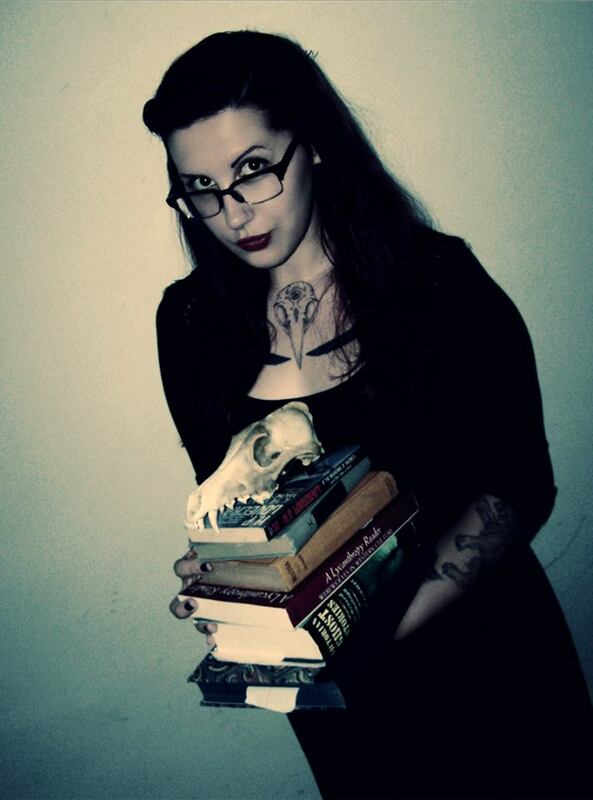 Captain of the Arkham Horror Book Club, producer with Dark Dunes Productions, and cohost of the Miskatonic Musings podcast, Mallory O’Meara is a New England native and unashamed book sniffer. Visit Mallory’s website, friend her on Facebook, follow her on Tumblr or follow her on Twitter @sexoskeleton. I produce films as part of the Dark Dunes Productions team – a company dedicated to creating original horror, sci-fi and fantasy films that employ practical – non-computer-generated – special effects to tell a story. We specifically focus on monsters, people in make-up and creature suits, and puppets – our passion! I am looking forward to Boskone for the variety of people, both fans and professionals, that it attracts. It’s a smoothly-run con at a great venue with relevant and interesting paneling – you can’t go wrong! Author of The Mask of the Sorcerer, the Shattered Goddess, etc. and about 300 stories. Most recent collection, The Emperor of the Ancient World. Former co-editor of Weird Tales. Active anthologist. I would describe my work as camped out right on the fantasy/horror borderland, dark more often than not, sometimes in contemporary settings, sometimes in never-neverland. Of late I have been writing an increasing number of explicitly, if hopefully subtly Lovecraftian stories. I can be funny too. I believe my “Kvetchula” is still the leading Jewish vampire story ever written by a Gentile. Right now I am trying to write a story for Joshi’s BLACK WINGS 5. I am always looking forward to James Morrow’s next novel, whatever it is. There’s so much to enjoy about Boskone it’s hard to know where to begin. I do not enjoy the weather. Boskone is cold and far away, but it is always worth going to and I wouldn’t miss it. I appreciate the quality of the programming, and the level of the “conversation” which makes up the entire convention. It is open to everyone, and to every point of view, but maintains a certain level of intelligence. I often find that if my panel ideas are deemed too “intellectual” for some conventions, I can always pass them on to Boskone, where they run without difficulty.I appreciate, too, that Boskone doesn’t take itself too seriously. The musicals and theatrical productions, such as last year’s dramatic reading of WILLIAM SHAKESPEARE’S STAR WARS help lighten the tone. This entry was posted in Boskone 52, Mini Interviews and tagged Christopher Golden, Darrell Schweitzer, Mallory O'Meara. Bookmark the permalink.